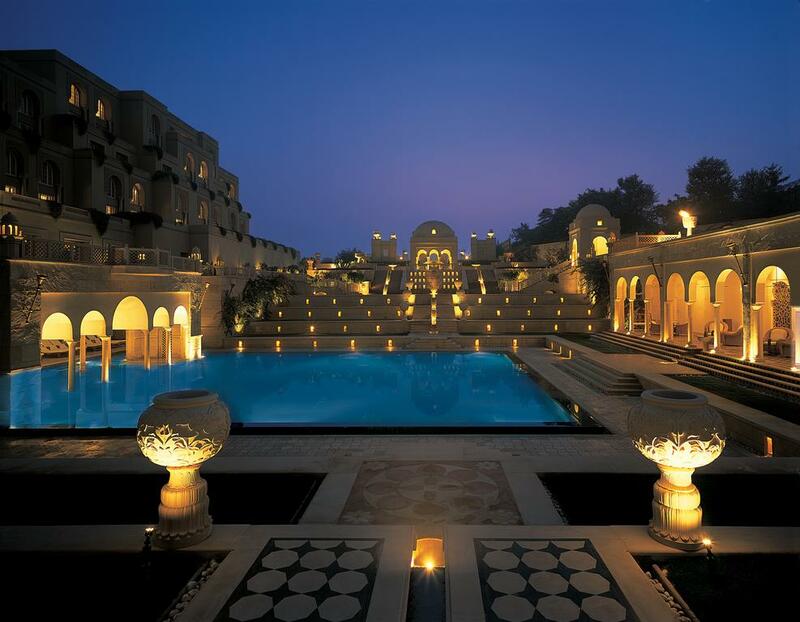 The Oberoi Amarvilas enjoys an unrivalled position, just 600 metres from the iconic Taj Mahal. Each of our rooms affords uninterrupted views of this ancient monument to love, while elements of the layout and design pay homage to its Mughal splendour. The hotel is approached along a sweeping driveway, verdant with native trees and lit by flaming torches. Just inside, a Mughal style quadrant is ornamented with cascading fountains and framed by an arched passageway and gold leaf frescoes. By day, guests can travel in our private golf buggies to the Taj Mahal. At night, they can savour a candlelit dinner beside its soft silhouette. The Oberoi Rajvilas is a royal resort set in a breathtaking thirty two acre oasis of beautiful landscaped gardens, filled with exotic birdlife. Built around an 18th century Shiva temple which affords chanting with a Hindu priest, meditation and morning yoga, The Oberoi Rajvilas is a haven of mystical peace and natural serenity. Traditional techniques have been used to replicate the famous pink lime plaster walls of Jaipur, throughout the resort. Also adorned with Mughal arches, gold leaf frescoes, high domed ceilings and magnificent crystal chandeliers, The Oberoi Rajvilas epitomises traditional Rajasthani charm and Oberoi luxury. The Vintage coupé glides to a stop at the lake’s edge. It’s hard to believe the floating vision in marble is real. Blink, and indeed, there is a luminous palace emerging from the mist. 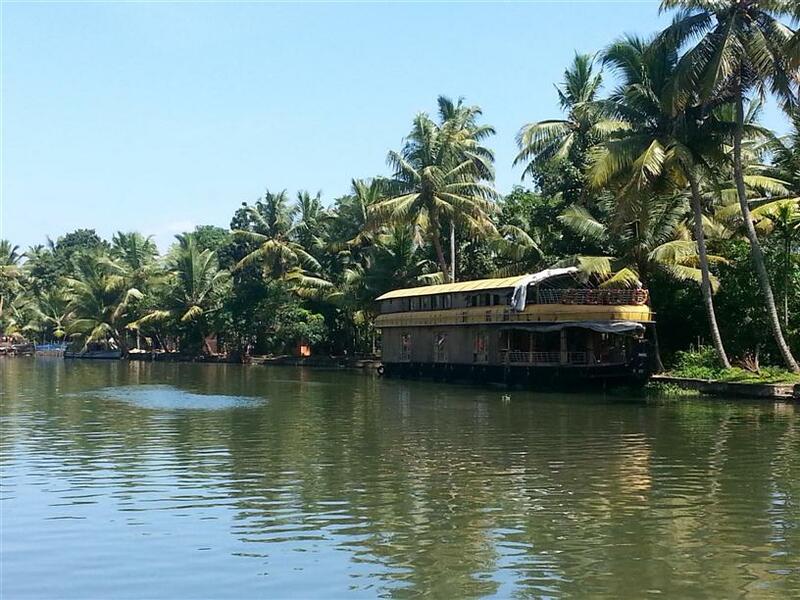 Suddenly you are in a boat, drifting ever closer and the reality doesn’t disappoint. With the Aravalli Mountains and city palaces as a backdrop one gets an impending sense of enchantment. Accommodations at Taj Lake Palace, are as delightful as the exterior. Every one of our romantic rooms holds a story and among the most compelling is The Chandra Prakash Suite, meaning Lustre of the Moon. The decorative gilt moldings, sculpted marble columns, and fine fretwork screens impressed even the Maharaja who held court in this very room in the 1930s. Walk from room to room amongst rich textures, opulent furnishings and exquisite objects d’art. Step out into expansive, ornamental gardens arranged in brilliant symmetry. Retire to rooms that were once the sanctuaries of kings, princes and their guests. Rambagh Palace exudes an unmistakable sense of history. It’s an architectural masterpiece that transcends time. Request the legendary Peacock suite, which overlooks the Mughal Terrace and the garden where the Maharaja used to celebrate “Holi,” the festival of color and lights. Stage an evening of high romance in a private tent, illuminated only by torchlight. Indulge in a stately dining at the gilded Suvarna Mahal, formerly the palace ballroom. Enjoy a royal, feast and lounging under a star-speckled sky. Play Polo as the kings played it, or at a more leisurely pace on elephant back. Wind up the day’s activities in the sophisticated charm of the legendary Polo Bar. Rambagh Palace allows guest to partake of a wealth of experiences that resound with the memories, luxuries and extravagances of a bygone era that luckily, has not entirely disappeared. Chosen as one of the Top city hotels in Asia and ranked as the Best Hotel in Delhi by Travel + Leisure World’s Best Awards 2014 and listed amongst 15 Legendary Hotels around the world by Fodor’s Travel in 2014, The Imperial is an iconic property in Delhi’s 5 star hotel category and the most distinguished address situated in the heart of the capital, reminiscent of the halcyon days of the Raj. A luxury hotel with an iconic and awe-inspiring heritage interwoven in colonial elegance, it dwells in its modern delivery of old-style class, magnificence and luxuries aplenty. Built in 1931 by Blomfield, one of Sir Edwin Lutyen’s associates and inaugurated by Lord Willingdon in 1936, it is New Delhi’s landmark Hotel, located on Janpath, the erstwhile Queensway. The Hotel is steps away from the renowned shopping district and city’s major attractions and just 30-minutes drive from the international airport. 235 guestrooms including 43 suites, each with a distinct interior, overlooking the lush, verdant gardens are encased in the historic hash structured building of the hotel. The Imperial Spa nestled amid the serene surroundings of the hotel’s landscaped gardens, offers the discerning patrons at The Imperial yet another reason to stay back. Sprawling over 16000 sq. feet, it is exclusive for resident guests at the hotel featuring authentic Ayurvedic/ international rituals. One can also indulge in an exclusive range of nail, skin and hair rituals at The Imperial Salon, open for non-residents too while rejuvenating at the state-of-the-art Health and Racquet club or even sit by the serene Swimming Pool during the stay. A world class Business luxury is realized in city’s first stand alone Business centre ‘One Imperial Place’ located close to The Imperial Spa, providing luxurious meeting spaces and unmatched conference room facilities. Its reflective pool adjacent to the 20-seater luxe meeting room is designed for corporate cocktail meets and defines business opulence like no other. The Palace was built, between 1928 and 1943, for H.H. Maharaja Umaid Singh ji, Grand Father of our present Maharaja, who had benevolently commissioned a new palace in 1923 to replace Mehrangarh Fort as the symbol of a new Jodhpur and to give employment to the people of Marwar during the period’s great droughts and famines. Set on a one hundred acre private estate of indigenous desert scrub, The Serai draws inspiration from the royal caravan sites of Rajputana; blending the dash and vivacity of this Land of Kings. There is no better place from which to venture into the mystical environs of Jaisalmer to discover its fabled golden fortress, a UNESCO World Heritage Site. Evenings are spent under the vast expanse of the desert sky, punctuated by the stars and ancient melodies of Manganiyar folk musicians whose songs have haunted these dunes for centuries. The SUJÁN connection to Jaisalmer is one of friendship, of personal connections, of a family being drawn to a destination decades ago, that is favoured by many today. Our luxurious desert camp and spa that was established in 2008 is a spectacular getaway. In its first year, The Serai was an early Indian property to become a member of Relais & Châteaux. Many of the experiences shared at The Serai would not have been possible without the collaboration of local communities. The ancient folk musicians, who sang for our family when we first came here in 1971, are the same family of musicians who share their music around the campfire today at The Serai. The Leela Palace New Delhi, a flagship property of The Leela Palaces, Hotels and Resorts, is one of the finest architectural marvels built from ground up in the last thirty years in downtown Delhi. Built in the shape of a butterfly, this visual spectacle is ensconced in the heart of Chanakyapuri, near the prestigious neighborhood of Diplomatic Enclave, blending seamlessly with its majestic surroundings. Its architecture is inspired by Lutyens, art and embellishment by Mrs. Madhu Nair and its levels of refinement and generosity of space mirror the great palaces of the world. Breathtaking vision superbly realised. The Laxmi Niwas Palace was commissioned by His Highness Sir Ganga Singh Ji in 1904. The impetus behind it was two-fold – to provide employment to the townspeople and to create a stately residence worthy of the royal house of Bikaner. His Highness was a man of impeccable taste and supervised the artists, masons and builders personally in their endeavours. Many of the friezes on the palace’s walls, the geometrically perfect symmetry of its outlay, the ornate filigree work and latticed screens may all be attributed to his artistic vision and temperament. He was also a famous host and his guests, (nearly always royals or dignitaries with packed agendas) tended to overstay, sometimes for months longer than they had originally intended. We hope the grace and charm of His Highness’ former abode and our hospitality will have a similar effect on you.